The former Dragon’s Den star faced questioning over the comments on the first day of campaigning. PRESIDENTIAL CANDIDATE PETER Casey has withdrawn remarks he made about a security breach at Áras an Uachtaráin. Speaking earlier this week, Casey said it was a “little bit of a coincidence” that there was a security breach the week before the Presidential election kicked off. An investigation has been launched after a woman drove her car through the front gate of the presidential residence on 14 September, before speaking to President Higgins within the Áras. Speaking at the launch of his election campaign yesterday, Higgins said the woman left of her own volition, but refused to go into details on what they had discussed during the incident. He admitted there had been a security breach. I mean we go for seven years without an intruder and then suddenly we get one. He appeared to suggest the incident may have been a PR stunt, saying he was surprised the President didn’t wrestle the intruder to the floor. Well Mary it was a little bit tongue in cheek. I just was pointing out, seven years without a security breach and then suddenly we have one the day before we all sign up for the election. Asked if he was now withdrawing the remarks he said “yes”. Today will see the first official election debate take place, with four of the candidates due to take part on RTE Radio 1′s News at One. President Higgins is unavailable as he has prior commitments in Dublin. He is officially opening DCU’s new student centre on its Glasnevin campus at 11.00, before welcoming the Earl and Countess of Wessex to the Áras at 2.30 this afternoon. Fellow candidate Sean Gallagher had previously stated he would only partake in debates where all candidates are present. He is instead choosing to canvass on main street of Ardee, Co. Louth at the same time. 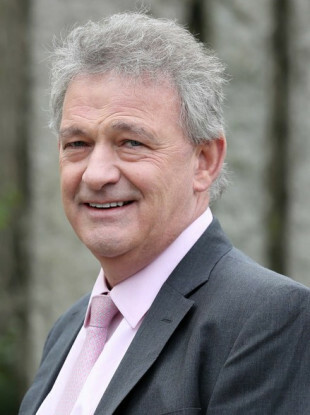 Email “Peter Casey withdraws remark calling Áras security breach 'a bit of a coincidence' ”. Feedback on “Peter Casey withdraws remark calling Áras security breach 'a bit of a coincidence' ”.